More than 3 billion people are under 25; sustainable development cannot be fully achieved without youth angles, perspectives and mainly voices. The qualities of youth provide us with supreme power to accept change, challenge norms, and adapt to challenging new settings. From Zambia, Lombe Tembo, Task Team Member of Restless Development Organization organization. Sana caught up with Lombe for a brief chat, ahead of her work with Restless Development Organization. Sana: First, thank you for taking the time to chat with us. Let me congratulate you on being a model advocating for youth governance. Out of the many Africans, you have been chosen by “Youth Voice” as successful model I believe it’s because of a proven record of hard work in enhancing youth governance. Can you share a brief background of the work you do? Lombe: Thank you very much for the opportunity to speak about my experiences and share what I have learnt. I am a youth advocate based in Zambia. All of my time at the moment is dedicated to development work in a voluntary capacity. Among other roles that I take on, I am the assistant executive director of the Zambian Association of Literacy, and I am also the Chairperson of the Governance and Transparency Committee of the African Youth Movement. My role as a member of the Youth Governance and Accountability Task Team began in May 2014 when the task team members had an initial meeting in Colombo, Sri Lanka during which we shared our individual experiences and learning. Sana: Can you tell us about your experience with Restless Development Organization? 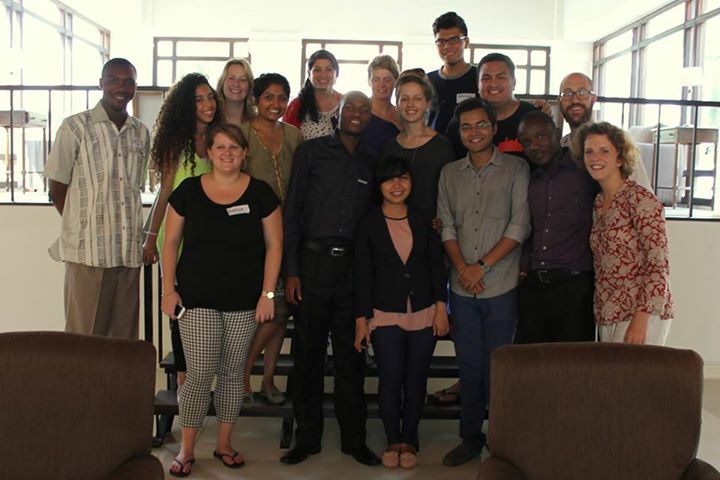 How did this experience enhance your expertise in the field of advocacy and accountability? Sana: Can you share any of your advocacy activities? Lombe: I will share one of my most recent advocacy opportunities. In May 2015, I gave a speech on behalf of the Task Team as a member of the Major Group for Children and Youth at the United Nations Interactive Civil Society Hearings. This involved highlighting the priorities for young people in the Declaration, which is a lead up to the summit in September at which the Sustainable Development Goals will officially be launched. The roundtable discussion that I was a part addressed how the Declaration of the outcome document can in a clear and visionary way articulate the objectives and priorities of the new agenda and its implementation. Sana: In your point of view and basing on your experiences, what are the challenges facing youth advocate in African countries? Have your ever faced any difficulties advocating for youth with official government in your country? Lombe: From my point of view, young advocates still face the challenge of not being taken seriously when they are in their own countries. They receive recognition when they are speaking on a global or regional platform but things get more difficult when they try to bring these advocacy messages back home and attempt to contextualize them. Furthermore, another challenge that is faced by young advocates is a lack of federated efforts to make their voices heard. There are instances in which there are wonderful actions happening in very small groups. If there is more coordination and communication between these groups, there would be a much larger impact. So lack of information as well as lack of access to this information is another challenge faced. Sana: What role can activism play in youth development and what can youth learn from being involved in activism? Lombe: Activism has the all-important role of bridging the gap between young people and decision-makers. With the wonderful support of civil society organizations, such as the ones supporting the Task Team, young people can have increased confidence and skills and can play a more active role in development at all levels. Sana: In one sentence, what is your message for youth worldwide who want to shift the development of their countries? Lombe: “Development is not something that is a far-fetched idea to only be discussed by adults. Be a part of the solution, it begins with you as an individual”. Selected as one of the ten top most active youth to work on Global Accountability and Governance as Task Team Member for Restless Development Organization (UK) , working on the field of Governance and Accountability by empowering the youth , women and children participation in the political level through recommendations documents of the Post-2015 development to the United Nations.